Late afternoon sun picks out a river course on West Falkland. I am now back from my 3+ week immersion into the farming culture of the Falkland Islands, with 700 photos, 30 hours of interviews, 20 pages of observational notes, and a strong sense of my inadequacies as a specialist within a land of self-reliant generalists. Despite coming at the busiest time in the farming calendar – shearing and lamb marking – farmers were incredibly generous in their willingness to talk, and sometimes tour and host as well. My research assistant, Marilou Delignieres, went far beyond her role as recruiter, guide and driver, happily engaging in farm work and babysitting to help me get time with farmers. Her parents, Hugues and Marie-Paul, helped us with logistics, but also provided additional opportunities during my visit. I relished my discussions with members of a contract shearing gang then working at their farm Dunbar, and got to experience a cruise ship visit, one of the ways that many farmers here diversify their incomes and benefit from hosting penguin colonies and other wildlife. I travelled by 4×4, workboat (ferry) and Islander aircraft. I marveled at all scales: skies to ground cover. These memories will sustain me through the difficult transcription phase which follows such research, and support my subsequent analysis. Thanks to the OECD Co-operative Research Programme and Dalhousie’s Supplemental Sabbatical Fund for the fellowship funding to undertake this travel, and SSHRC for its support of Marilou. Marilou throws a fleece in the Dunbar shearing shed, as Alex shears, Polly rousies, and Hugues and Marie-Paul look on, ready to class it. Cruise ship tourists visiting Gentoo Penguins at Dunbar farm, with Death Head in the background – one of their tricker paddocks to gather sheep in. Our typology of Nova Scotia farm fragmentation based on the number of non-contiguous parcels and the time to drive across the two furthest apart parcels. When I moved back to Canada from Australia, and started interviewing farmers in Nova Scotia, I was surprised at how small and fragmented their holdings were. I found myself wondering how this spatial pattern influenced their management. Does it mean that it is harder to think of a farm as an ecosystem, and manage accordingly? Or is it a boon for biodiversity, as remoter parcels are left to nature? I threw a few questions about farm fragmentation on our Marginal Land survey last year, and those preliminary results are now in, recently presented on a poster at ISSRM, Farm as ecosystem: What is the impact of fragmented property ownership on farm management? It show us that fragmentation in Nova Scotia is intentional, the result of purposeful land acquisition by serious farmers. While it cannot be ascribed to fragmentation alone based on the data we collected, these high fragmentation farmers were less likely to have ponds and wetlands on their properties (as a function of farm area), though they had just as many woodlands, which are seen to have high ecosystem service value (timber, etc). Moreover, high fragmentation farmers were less likely to undertake biodiversity-friendly farming techniques. I think this is enough to suggest more research is warranted. Next time I want to look for diversity within farms. Does the farmer treat far-flung parcels differently than those closer to the heart of his operations? Who’s Afraid of Allan Savory? I was in the middle of Far From the Madding Crowd (1874), by Thomas Hardy, when I received word from the Halifax Central Library that the hold I placed on James Rebanks’ The Shepherd’s Life (2015) was ready for pickup. This was a nice bit of symmetry, as the hero of Hardy’s novel is Gabriel Oak, stout-hearted and reliable shepherd of Hardy’s ‘Wessex’ (south-west England). Rebanks (@herdyshepherd1) is a modern shepherd who runs a family ‘fell farm’ of Herdwick sheep in the Lake District, as well as an Oxford graduate who advises UNESCO on ensuring tourism benefits local communities in cultural landscapes. The ‘fell’ is an area of marginal commons pasture shared by local farmers for extensive grazing. 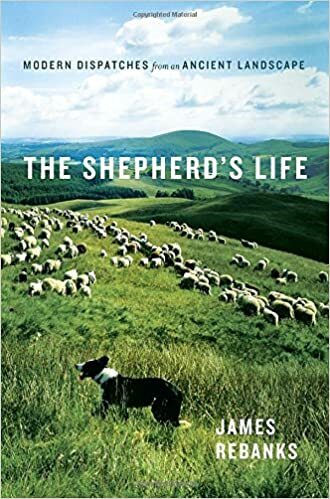 James Rebanks worked up to this book on shepherding in the UK Lake District from Twitter, and a column in Cumbria Life magazine. My grandfather had an eye for things that were ‘beautiful’ like a sunset, but he would explain it in mostly functional terms, not abstract aesthetic ones. He seemed to love the landscape around him like a passion, but his relationship with it was more like a long tough marriage than a fleeting holiday love affair. His work bound him to the land, regardless of weather or the seasons. When he observed something like a spring sunset, it carried hte full meaning of someone who had earned the right to comment, having suffered six months of wind, snow and rain to get to that point. He clearly thought such things beautiful, but that beauty was full of real functional implications – namely the end of winter or better weather to come. Above the love of the land, perhaps, is his love of the sheep themselves. The book also presents a new vocabulary for scholars of place: hefted, from Old Norse for ‘tradition’. Hefted sheep have “become accustomed and attached to an area of upland pasture”. It seems clear from this book that humans can be hefted, too.